According to a recent report by Calciomercato, Premier League side Everton are keen on signing Lyon playmaker Nabil Fekir in the summer. It is said the club have ‘set their sights’ on Algerian-French star, who had almost finalised a move to Liverpool the previous summer in a rather long saga that didn’t eventually happen due to concerns about a knee injury. Everton supporters would love to beat the bitter rivals in transfer battle by sealing a potential transfer of Nabil Fekir. France international could be the perfect player to arrive at Goodison Park and help the club reach the heights the management have been desperate to hit for a long time. The 25-year-old star has been a star for Les Gones over the past couple of campaigns with his attacking skills, having provided the Ligue 1 club with 12 goals and seven assists in all competitions in the current term. Creativity and goals are just one department of the team that manager Marco Silva must plan to address as they have been extremely unstable and have struggled to find a player who can frequently produce the goods. 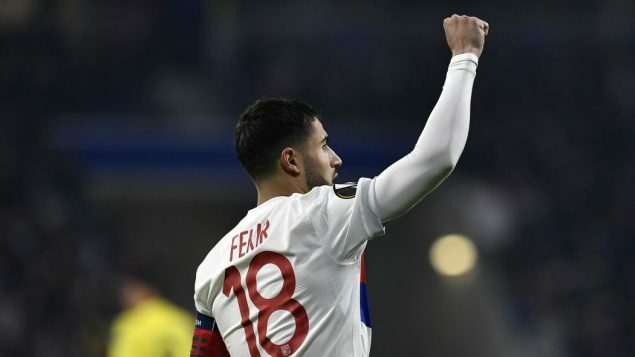 However, it will come as a surprise to see Nabil at the club without any European football on offer and with the possible amount of money Fekir could cost the Toffees to land, whilst the report by Calciomercato just simply claims they have ‘set their sights’ on the star. It would undoubtedly be a surprise to see the key Lyon man at Everton and supporters would be forgiven if the club took the rumour with a pinch of salt.